This off the shoulder is a beauty that we are all lusting over. With a feminine neck line (off the shoulder!) 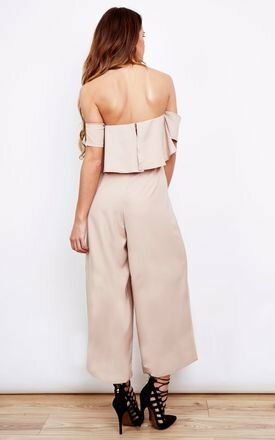 the neutral tone jumpsuit will look perfect for any occasion!